The more we appreciate others, the more humble we become. When we think we are great, we commit spiritual suicide. Why is appreciation so powerful? – It is an expression of love for Krishna. Life is full of meaning and opportunities for growth. When we are mindful of the beauty and accomplishments of the past, even when the present or future is not exactly what we would like it to be, we will not be disturbed. We will still be excited about the past and appreciative for the present. In this way, the future will be even more auspicious because we create our futures by how we have dealt with the past and how we are dealing with the present. Those who are advancing in Krishna consciousness can appreciate how wonderful is this gift that Srila Prabhupada has given us. 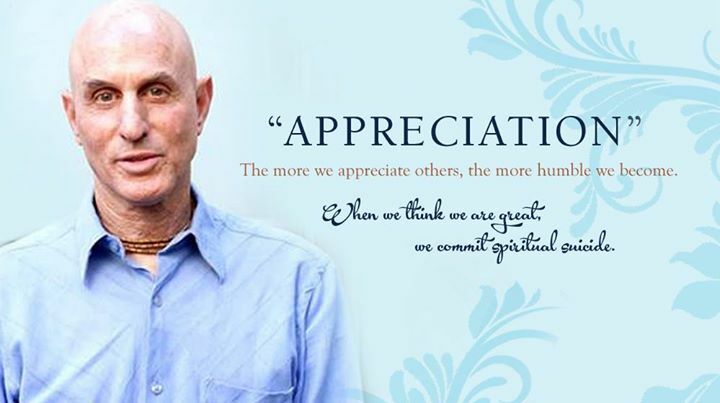 Appreciation is very often the beginning of our spiritual life & it comes through connection with a devotee.